Tiffany Trump's forgotten pop single is the perfect soundtrack for the Republican convention. 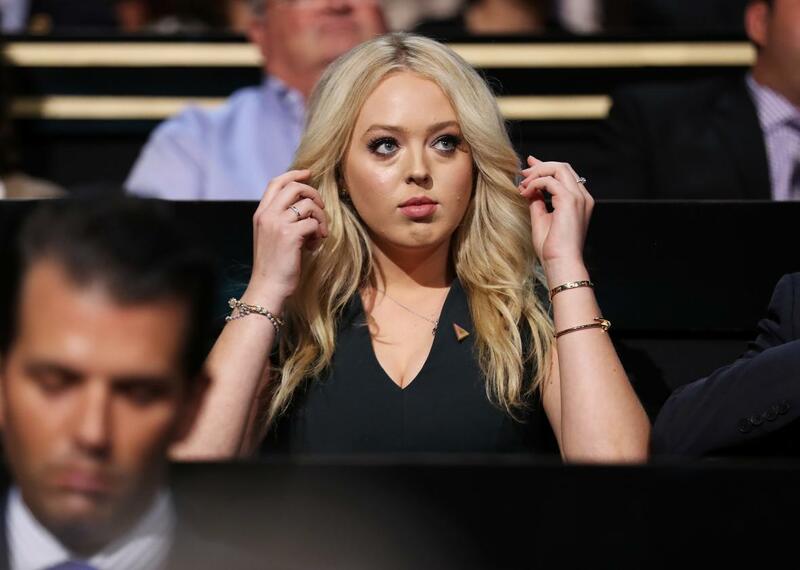 Tiffany Trump listens to a speech on the first day of the Republican National Convention, July 18, 2016. Tiffany Trump, who will be speaking Tuesday evening at the Republican National Convention, has always seemed like the more publicity-shy Trump daughter. Compared with her older half-sister Ivanka, who has served as her father’s terrifyingly effective defender and adviser, the 22-year-old child of Trump’s second wife, Marla Maples, has participated in occasional family TV appearances, such as April’s CNN town hall, but she has largely retained her privacy. Tonight’s speech, then, will serve as something like her introduction to the American people. In the meantime, there’s one little-remembered episode that could lend some insight into Tiffany’s personality and aspirations. At the very least, it can shed some light on the innovative ways indulgent wealthy families can blow through cash. In 2011, Tiffany released a synthy pop single, “Like a Bird (feat. Sprite & Logic).” “I love music, it’s always been very dear to me, a big passion,” Tiffany said in an Oprah segment taped around the time of the single’s release. “It’s more of a hobby right now, but we’ll see in a couple years if I actually do want to take it to the next level.” The song never went anywhere, alas, and Tiffany seems to have shelved her pop-star dreams. But luckily for Trump-family-disaster completists, “Like a Bird” is still available on Amazon and iTunes. Everybody’s partying, obsessing over crazy things. I just want serenity while living it up. Every time you lie to me, it’s something that I’ve fallen for. If you feel the beat, then you’re living it up. Feel like I started falling, crawling through the liquid love.